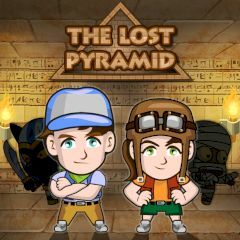 Two friends form a team of adventure seekers with their own strategies. Play the both separately and complete objectives. Dodge enemies and blow walls to get a path to hidden areas. Collect gold ore and find the way out from the level. You need to explore the entire cavern for treasures.